Photos from the past, meet scanner from the future. 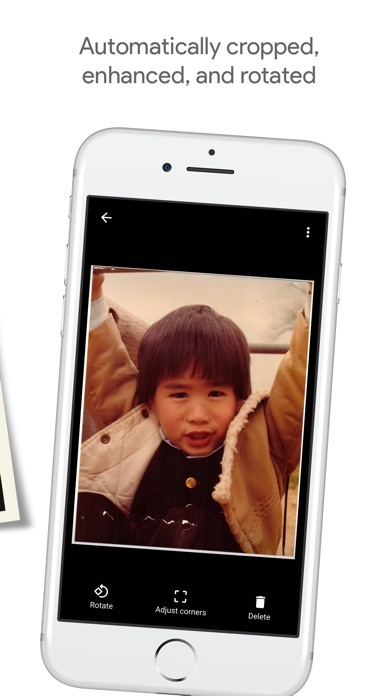 PhotoScan is a new app from Google Photos that lets you scan and save your favorite printed photos using your phone’s camera. PICTURE PERFECT AND GLARE FREE Don’t just take a picture of a picture. 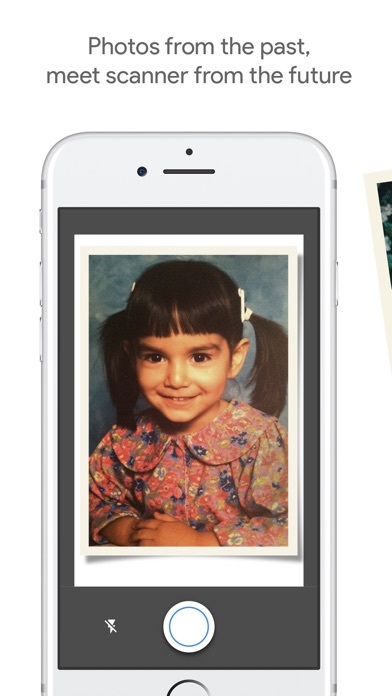 Create enhanced digital scans, wherever your photos are. – Get glare-free scans with an easy step-by-step capture flow – Automatic cropping based on edge detection – Straight, rectangular scans with perspective correction – Smart rotation, so your photos stay right-side-up no matter which way you scan them SCAN IN SECONDS Capture your favorite printed photos quickly and easily, so you can spend less time editing and more time looking at your bad childhood haircut. For documents and photos in glare-free environments, toggle off glare removal for even faster scans. 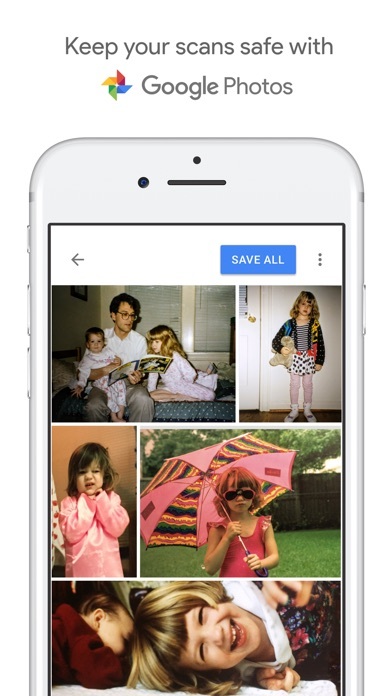 SAFE AND SEARCHABLE WITH GOOGLE PHOTOS Back up your scans with the free Google Photos app to keep them safe, searchable, and organized. 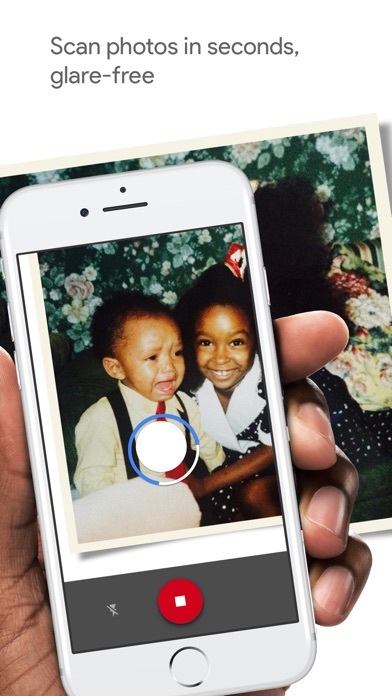 Bring your scans to life with movies, filters, and advanced editing controls. And share them with anyone, just by sending a link. The app was easy to use, but every scan included the caption, “PhotoScan by Google Photos” which I had to then crop out of every photo. Too much work! I use this to photograph my kids artwork. It is fast and reliable enough. Auto-rotate needs work. I like the app but sometimes theres still a few glares on the photos, but its a really good app. I am not too savvy when it comes to technical ( computer) literacy. This app is great! My photo doesn’t fit in the strange frame for an aspect ratio that google has set up so i have to climb on the table and risk a worker’s comp scenario. Then when i get the photo to fit within the frame bounds I climb down and go to each corner to get a more detailed capture. But something is whack with the perspective so one photo ends up being the office fridge, I have no idea how that helps. Fix your stuff Google.